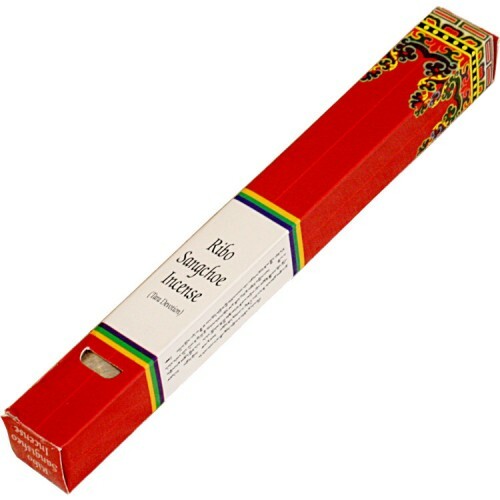 This Ribo Sangchoe Incense is collectively made out of various aromatic herbs founds in highly altitude regions of Tibet and plains on Nepal. 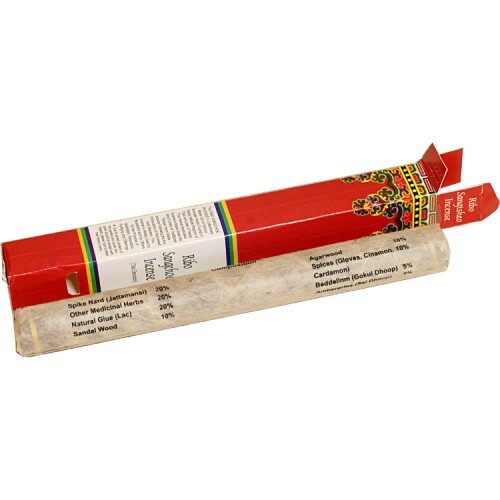 This herbal medicated incense is made under the strict control of traditional tibetan hand made incense following the key instructions of renowned herb masters. 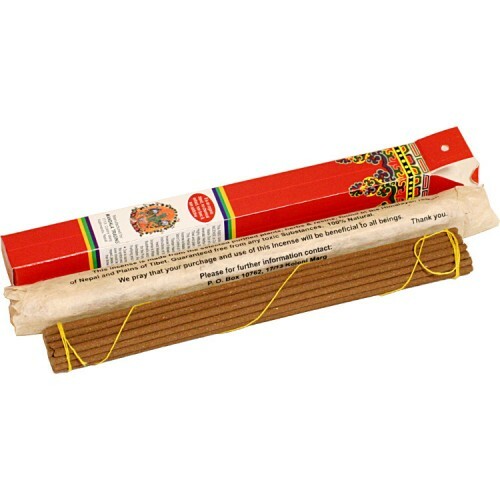 This incense is widely used by buddhist's and by others for the purpose of meditation, relaxation, purifying and offerings. *Due to sacred content of the symbol and quote, this cover should be treated with respect, please, burn it rather than throw it away. This incense is made from the selected purified plants, herbs and resins, found in the Himalayan region of Nepal and plains of Tibet. Guaranteed free from any toxic substances. 100% Natural. We pry that your purchage and use of this incense will be beneficial to all beings.